Get the plates, ‘cause you just got served! 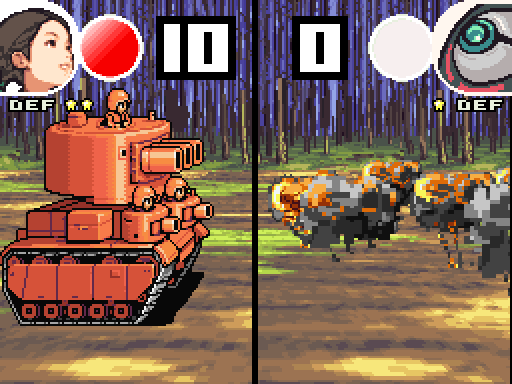 The third game in the Advance Wars series, the story is set in Omega Land and you defend your country as the Black Hole Army tries to take over your land. Disclaimer: This review only focused on the single player campaign. The review and scores will not take into consideration for the Multiplayer, Map Editor and various other features. Controlling the Commanding Officers of the Orange Star Army, you defend and battle against the evil deeds of the Black Hole Army. Since this is a strategy game, it is no brainer that the story is going to be about war between two opposing factions. I actually do enjoy the story very much, despite the fact that the story is pretty linear. There are some moments of surprise here and there, making it a war story with a small twist. The characters do say things that are either cheesy or witty, but it didn’t really annoy me since the story’s setting are mostly bright and colourful. Still, the story is pretty short and not really amazing as you think it is, so hence I gave it a pass for the score. Retaining most of the gameplay from the first game, this game is still a blast to play through! Being the third game in the series, there are no doubt there are new features and units added to further improve the formula. But let’s focus on the basics first, shall we? Before each mission, you will take control of either one or two commanding officer (henceforth refer to as CO) of the Orange Star Army and you will move the army across a 2D tactical map. Using your units, you will be able to attack an enemy unit, capture a base, fire a silo and many other different actions. Majority of the missions in the campaign mostly focus on either destroying all the enemy units or capture the enemy’s HQ. Each unit have their own strength and weakness. The infantry, for example, are the only ones who can capture bases, fire missile silos and traverse on any type of terrains. However they are usually weak against non-infantry units that would usually get them killed in a single turn. There are also units for tanks, long-range missiles, airplanes and naval ships. Unfortunately, your enemy will usually control special units such as the Oozium, which takes a lot of strong firepower to take it down, but will immediately gobble up your unit in a single turn if your unit is right next to it. 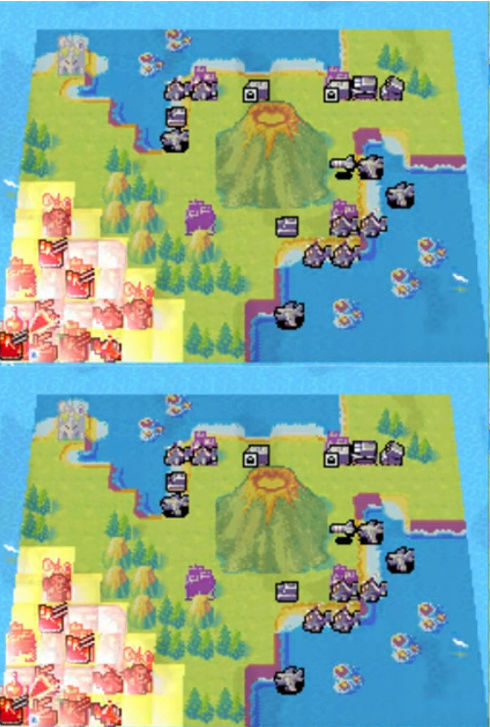 Each different terrain square would have different levels of ‘defense’ that would help improve your units’ defense if they were on that square. There are different types of terrain such as the plains, cities, forest, mountains and more. Although these terrains may provide additional defense to your unit, they could also at times limit your units’ movement such as the river, mountains and so on. There are times when you have to play the campaign in a ‘Fog of War’, in which the most part of the map is black out and you will not be able to determine your enemy’s position. The only way to locate them is either by moving your units closer to them, or move to a mountain square to extend your field of sight. 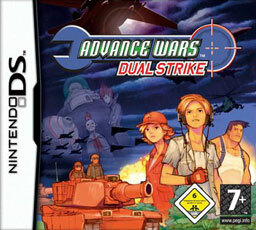 What makes Advance Wars unique is that each Cos has their own strength and weakness. For example, Grimm will have a higher attack but reduced defense, whereas Colin can buy units at a cheaper price but has weaker firepower. When you’re controlling two COs for a mission, you may change your controlling CO to the second CO during the end of the turn so suit your strategy taste. Each COs also have power meters, which allows you to use two different sets of special abilities to improve your advantage. However, if both of your COs’ (when you’re controlling two at the time) power meter has been fully filled, you can activate Tag Power, which uses both COs’ Super CO power. Once the first CO is done, instead of ending a turn, the player changes to the second CO, hence granting you a second turn. By completing the missions, your participating COs will gain experience points. When levelled up, passive skills will be unlocked and you will be able to equip them. The higher the level your CO is, the more skills you will be able to unlock and equip. Sometimes during the campaign, you will have a mission that allows you to fight war on two separate maps. Although it is not a compulsory to win the second map, but doing so will deny your enemy to have a second CO (which is extremely dangerous) and granting you the benefit of controlling a second CO so you can use that amazing Tag Power and decimate your foe. Lastly, there are times that you will get to control either two or three teams of COs which will normally start at a different part of the map. For the most part of the game, I thoroughly enjoyed most of the missions. 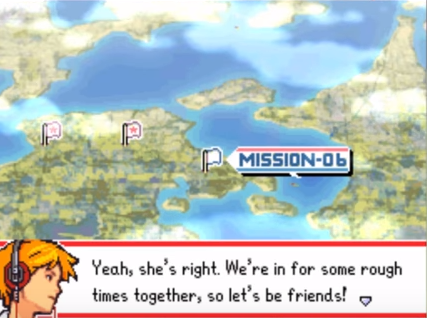 There are a few missions that are ridiculously difficult and will take a few retries to get through, but it is still doable if you plan more carefully. The earlier missions are short in which you can complete under 15 minutes, but as you reached around mission 12, each mission would take at least 30 minutes to complete and would gradually increase to one hour per mission towards the end. I do admit that there are times that I would want to smash my NDS because it was brutal hard and unfair (I mean c’mon, healing obelisk that heals 2hp for your enemy units?) but through persistence and careful strategizing I eventually got through it. Nevertheless, a fun experience for the campaign with a slight annoyance at why my enemy is always at a more favorable position than me. Some missions will allow you to control two fronts to determine which team will have a higher advantage. While the music is great to hear (quite a reminiscent from the first game), but there aren’t that many variety of songs to hear. You’ll most probably spend most of the time hearing the same music over and over again. Strangely, you won’t actually get tired from hearing it despite hearing the same thing for the whole campaign. It simply needs more music tracks. Art style is good and the character designs are simple yet unique. I personally love how the units and terrain are presented nicely and the overall UI and presentation are organized neatly. 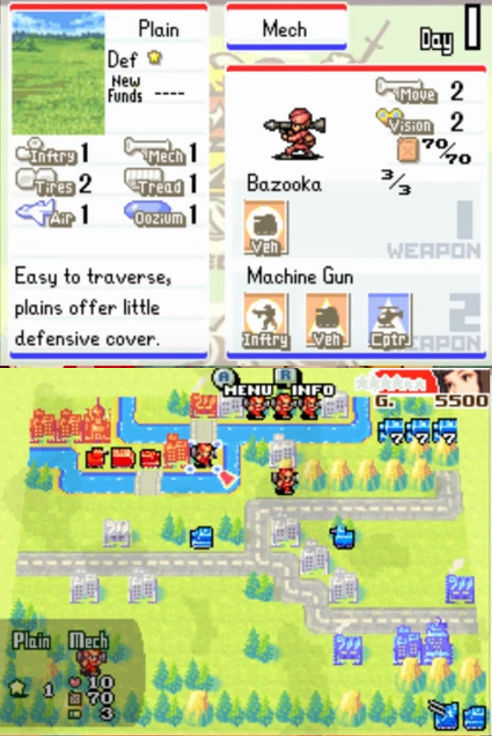 Unlike most strategy games, the unit information doesn’t actually overwhelms you and you can easily find your way around the menu. Overall, orderly, tidy and colourful just makes this game a more enjoyable experience in the long run. Most of the information are presented on the top screen of your NDS, making it easier for you to access information and strategize accordingly. If you already can’t tell, I have tons of fun with the campaign. The ability to customize your favorite CO’s skills make it more engaging and fun to approach each map. Despite the fact that there are a lack of music tracks in this game, it never really did bother me that much because the music is a blast to listen to. Especially the sound of my enemy getting blown up (sinister smile). The game’s presentation is absolutely gorgeous and pleasing to the eyes and there are many times that I find myself not wanting to put the game down. My recommendation is if you can get your hands on this game, give it a try and you’ll see why this game is an amazing experience to play through. At the current moment I would have to say no, eventhough I gave a lot of high praises to this game. Maybe sometime in the future I will probably play it again if I feel reminisced about it. Nevertheless, I do look forward to play the other games in the series! Easily my favourite game in the series to date. Superb review as always, @ryoutak! What a positively lovely review @ryoutak. Aren't you a regular at Push Square @themcnoisy?